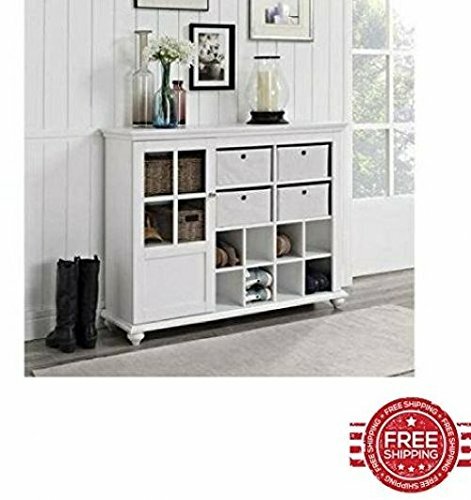 Storage Cabinet with Baskets is an Elegant Storage Cupboard with Door Baskets and Shelves that will add a Classic Tone for your Favorite Room. The High Quality Materials and the Beautiful Frame of the Storage Cabinet with Baskets is the Perfect all Time Classic Cupboard for your Kitchen,your Bedroom or your Livingroom Storage Place.The Open Shelves along with the Multiple Storage Space will satisfy all your Needs and will add a Beautiful Design for any room. Combine Storage Capacity and Organize your Room with the Storage Cabinet with Baskets. If you have any questions about this product by STS SUPPLIES LTD, contact us by completing and submitting the form below. If you are looking for a specif part number, please include it with your message.